The lead single off 2 Chainz’ forthcoming Def Jam debut has arrived. Setting the bar insanely high for everything else on Based On A T.R.U. 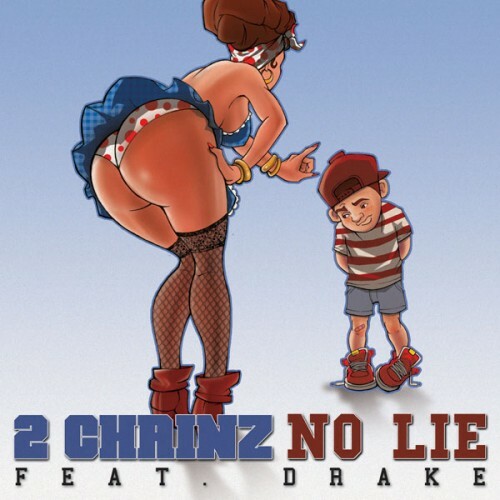 Story, “No Lie” pairs 2 Chainz with Drake for a 100% certified BANGER. Chainz kicks things off with some bars about ego and life that we could do without, but Drizzy verse picks things up and leaves just enough room for 2 Chainz to top things off with something from the heart. You can stream “No Lie” after the jump. Based On A T.R.U. Story will not hit stores until August, so expect many more articles, stream, leaks, videos, and the like from and on 2 Chainz in the coming months.